New Delhi, Dec 6: Ahead of the debate on foreign investment in multi-brand retail in Rajya Sabha, the Samajwadi Party (SP) Thursday said it would not vote for the government. 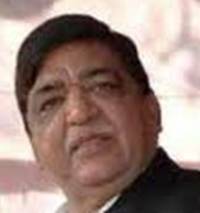 "SP will definitely not vote for the government on the FDI issue in the Rajya Sabha," SP leader Naresh Agarwal told reporters outside parliament. The SP, which has nine members in the Rajya Sabha, Wednesday bailed out the government when it walked out of the Lok Sabha ahead of the vote in the house. Its arch rival Bahujan Samaj Party had also walked out. However, the BSP’s stand on the FDI issue is still unclear. The government does not have the numbers in the Rajya Sabha to win the vote.